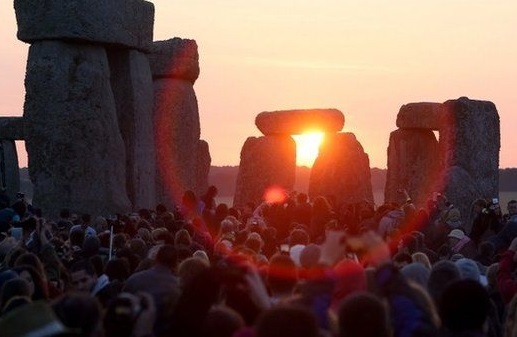 Today is the longest day of the year. Technically, there are more hours of daylight than any other day. It’s “midsummer day” even though it is the first day of summer. It should be mid-year day but…whatever. Yes, my brain is still not running on all cylinders so cut me a little slack, ‘kay? So…I finished Red Dirt Royalty #5. THE BOSS AND HIS COWGIRL, Red Dirt Royalty #3 released–and did pretty well. I hit the top 10 on Amazon of Harlequin Desires. So…cool. And I got a contract addendum for COWGIRLS DON’T CRY, RDR#1. Harlequin is releasing it in audio book. In SWEDEN! Yeah, that was my reaction. 😆 So, who knew that my Oklahoma billionaires would be a hit in Sweden. Next project is DOUBLE TROUBLE, a Hard Target crossover with Roxanne St. Claire’s Barefoot Bay series. I have until August 1st, but I want it done before I leave for San Diego for RWA Nationals. Speaking of…Cool invites received–a champagne reception with Nora Roberts (that’s due to my service award), and Grand Central/Forever Romance invited me to cocktails and appetizers. I haven’t figured out how I got on that list but dude! So goin’! And I should have checked a map before I decided whether to go with marina/ocean view or city view in my hotel room. I chose ocean but there would have been a chance I could see Petco Park from the upper floors because…All Star Game! No, I don’t have tickets. Yes, I’d sort of like to go because…BASEBALL ALL STAR GAME! But…CROWDS! Ick. And further speaking of, my OSU Cowboys are in the winners bracket of their bracket at College World Series. They play again tonight against Arizona. Go Pokes! Reading, I am. Just finished Rocki St. Claire’s BAREFOOT WITH A BAD BOY. All I can say is, DUDE! GABE ROSSI! Which, for me, pretty much says it all. 😆 I’m moving on to BAREFOOT AT MIDNIGHT because silver fox hero and I need to get a feel for the area as I start writing DOUBLE TROUBLE. My cover is REALLY COOL but no reveal until much closer to release in mid-August. And I don’t have a blurb yet because, you know how I love writing blurbs…NOT! TV = baseball. I’m not really watching anything but baseball at the moment. I’m trying to catch up on reading when I’m not writing. And that, is the sum total of my week/weekend/life. Y’all tell me what you’ve been up to. I need to live vicariously through all of you! This entry was posted in Writing Life and tagged books, holiday, Monday, reading, sports, TV, writing. Bookmark the permalink. Read this this morning, got distracted and wandered away. Derp. Can we just skip summer and move directly to fall? Pretty please? Yay for all the awesome things happening in your life. You deserve all the awesomeness. Yay for your cover, too, even if you can’t show it off yet. I read this last night, got distracted, and gosh, it was still open on the tab. LOLOL How was the fishing?